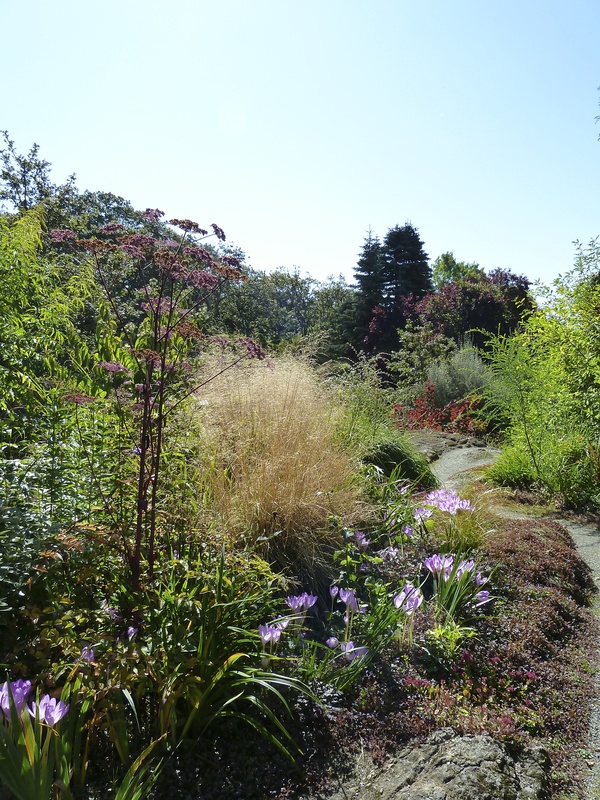 I’ve been to a number of gardens in the last few weeks, all inspiring in various ways. There’s so many pictures that I thought I would highlight a few ideas/plants I plan to steal for my own future garden. 1. 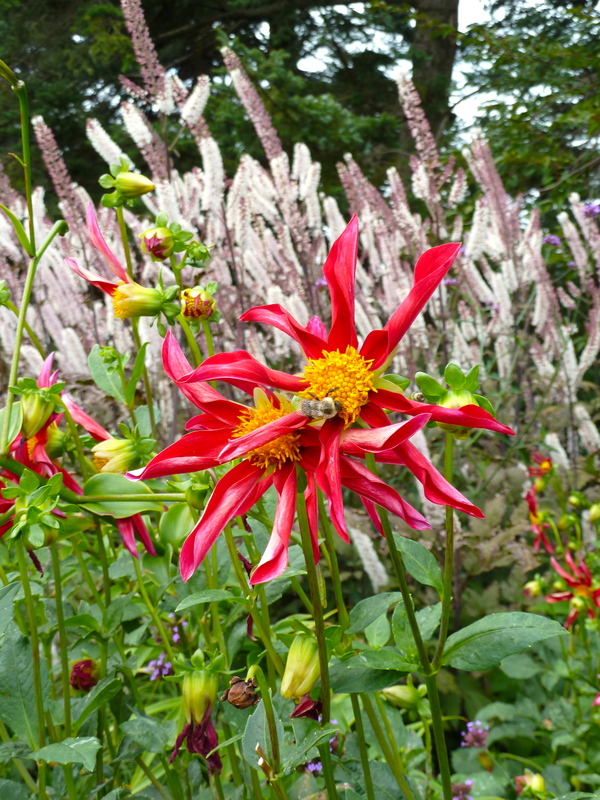 The use of dahlias intermingled in blousy beds, particularly with grasses. 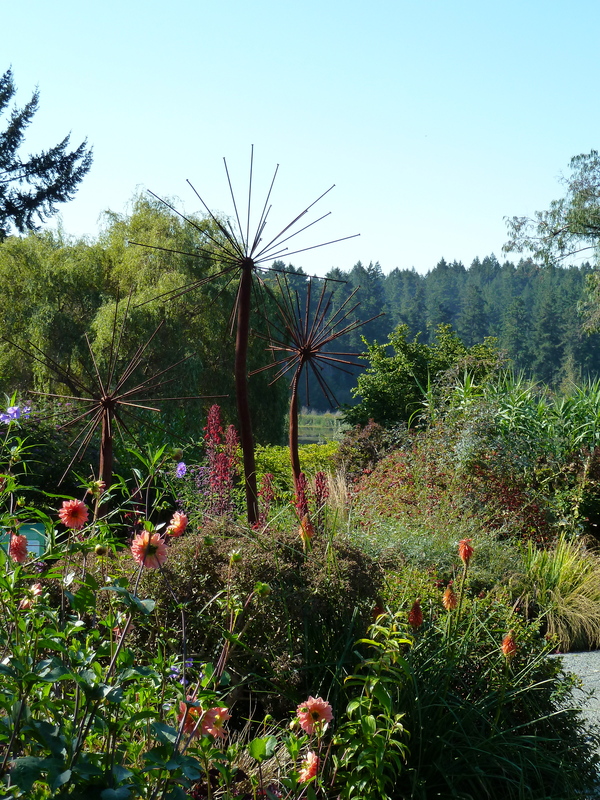 The above photo is from the Horticultural Centre of the Pacific, outside of Victoria. I loved it and would recommend a visit! 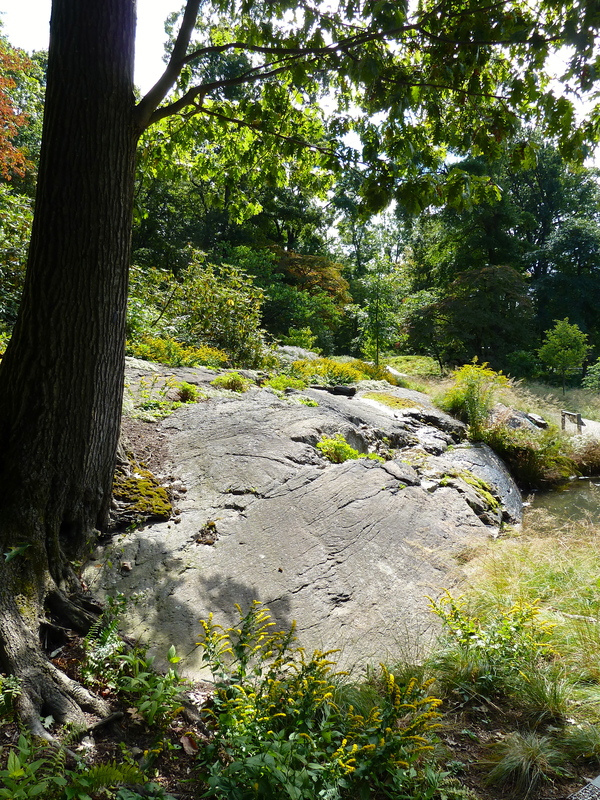 Below is a shot from the Seasonal Walk at the NYBG. 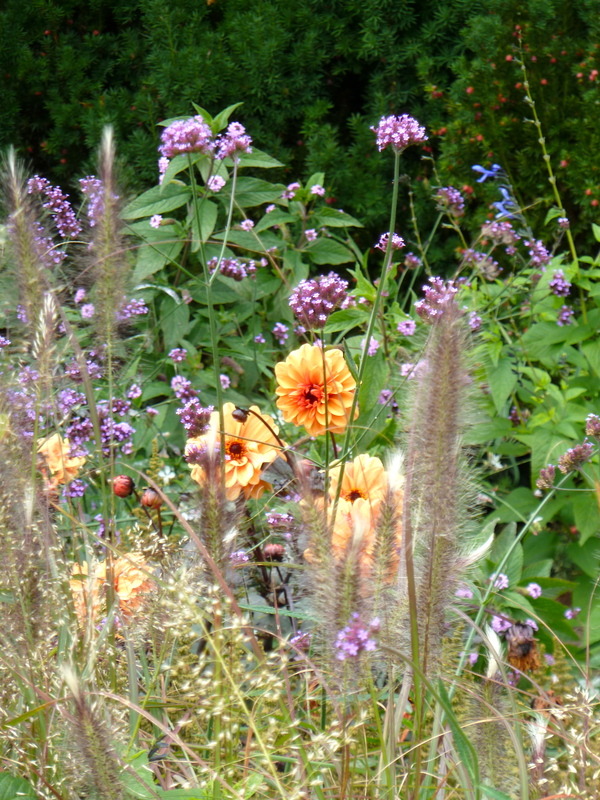 Really inspiring planting from Piet Oudolf and Jacqueline van der Kloet. 2. 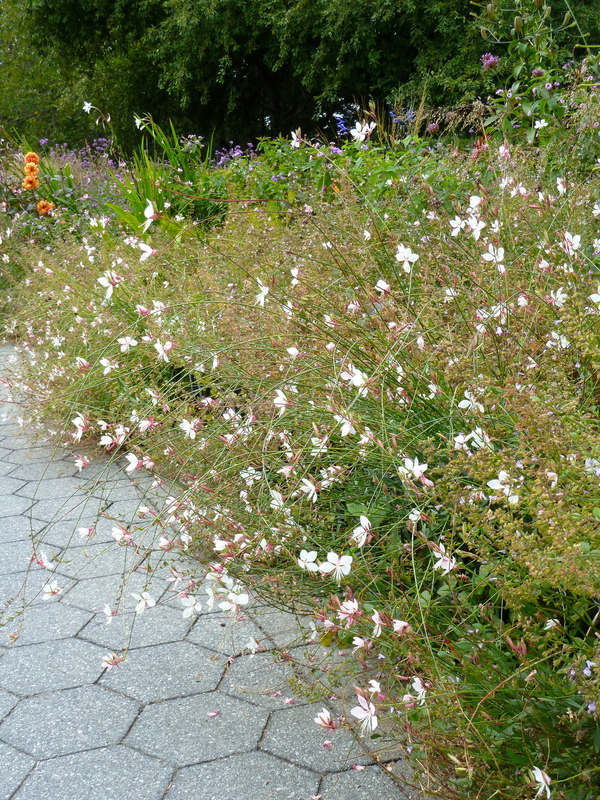 Gaura in the Seasonal Walk at NYBG and at HCP. I appreciate how it softens the lines, which seems fitting for the end of the season disorder. 3. 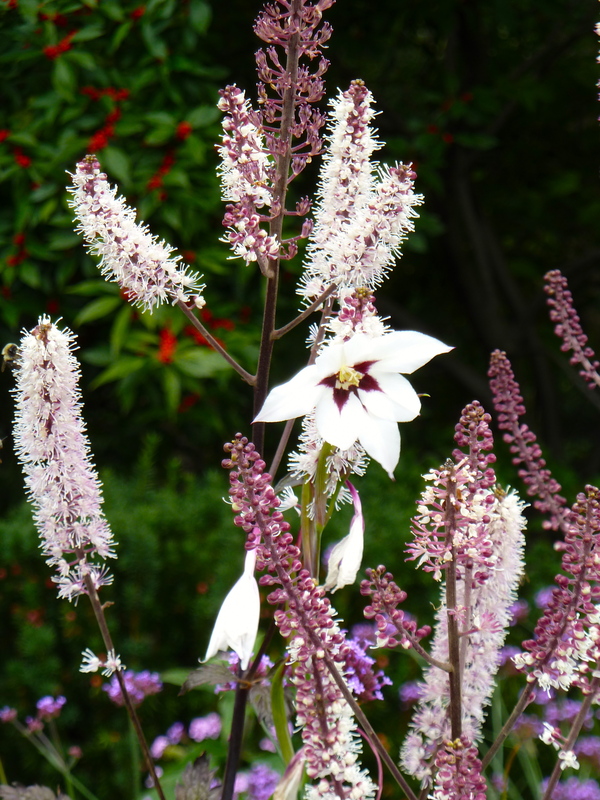 Actaea simplex. Love the deep purple foliage on some of them and the extremely fragrant flowers. 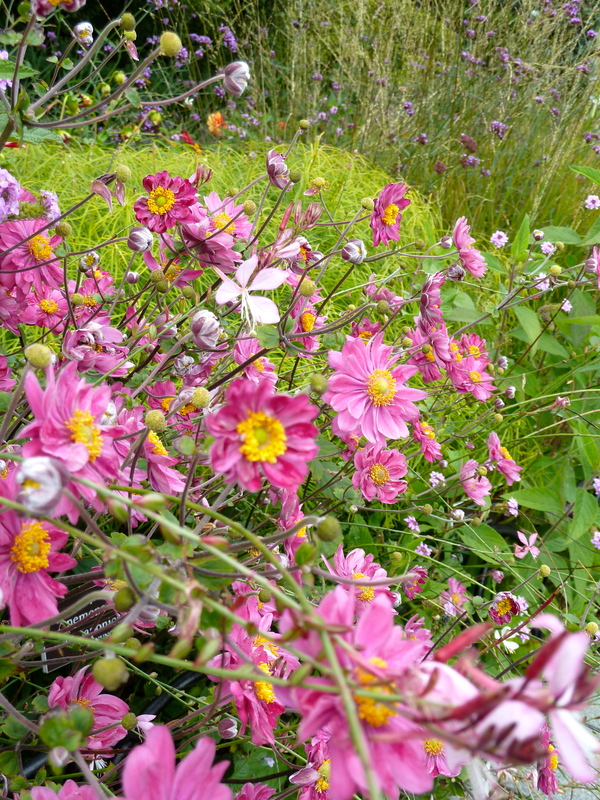 It blooms dramatically when the garden is starting to quiet. 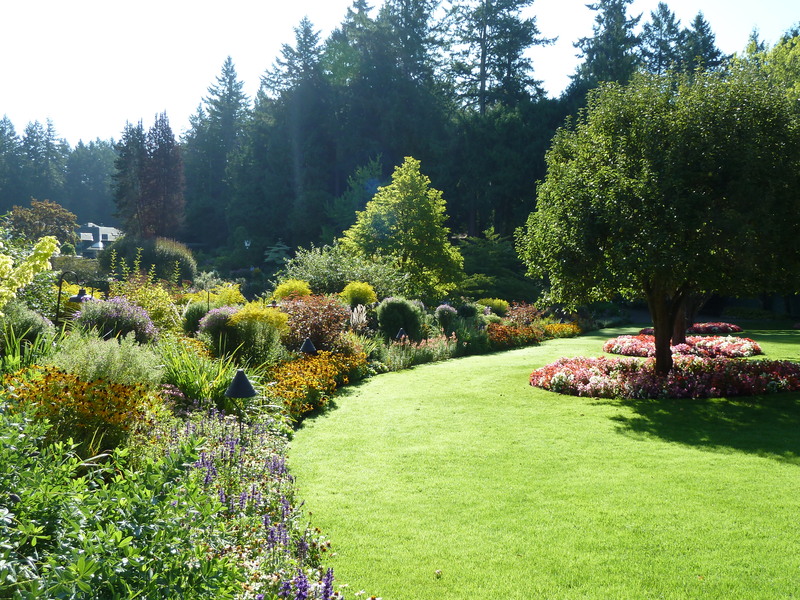 The first photo from Butchart Gardens outside of Victoria. The second two from the Seasonal Walk at NYBG. 4. 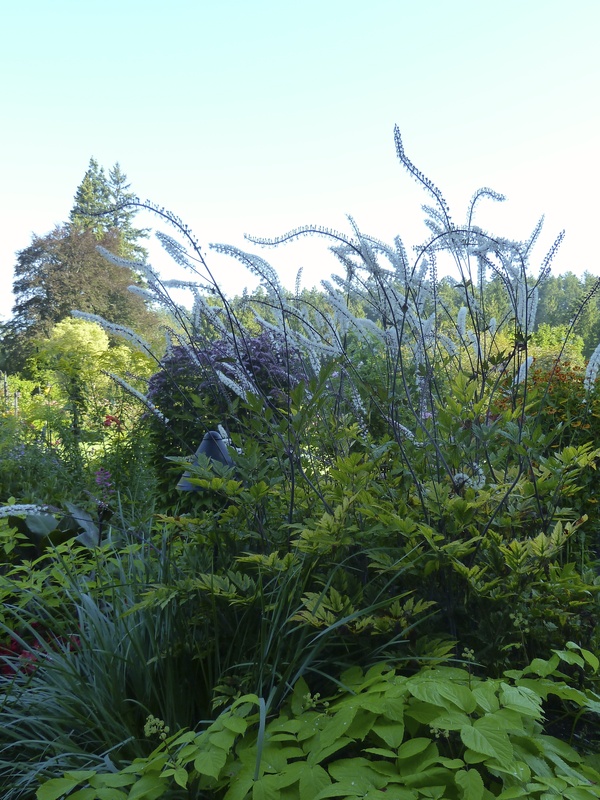 Amsonia hubrichtii, Amsonia tabernaemontana and Amsonia montana ‘Short Stack’. Love the beautiful blue flowers in spring and the lush foliage the rest of the year. 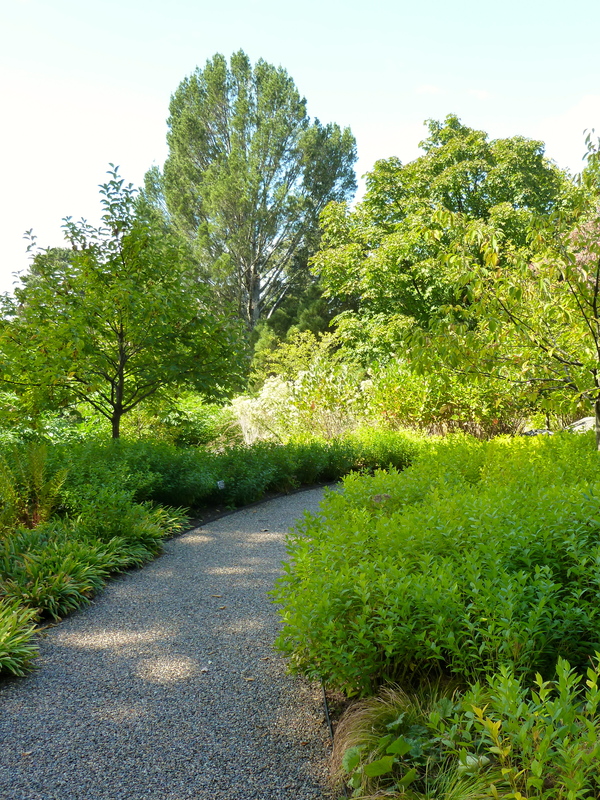 All used liberally in the native garden at NYBG. 5. 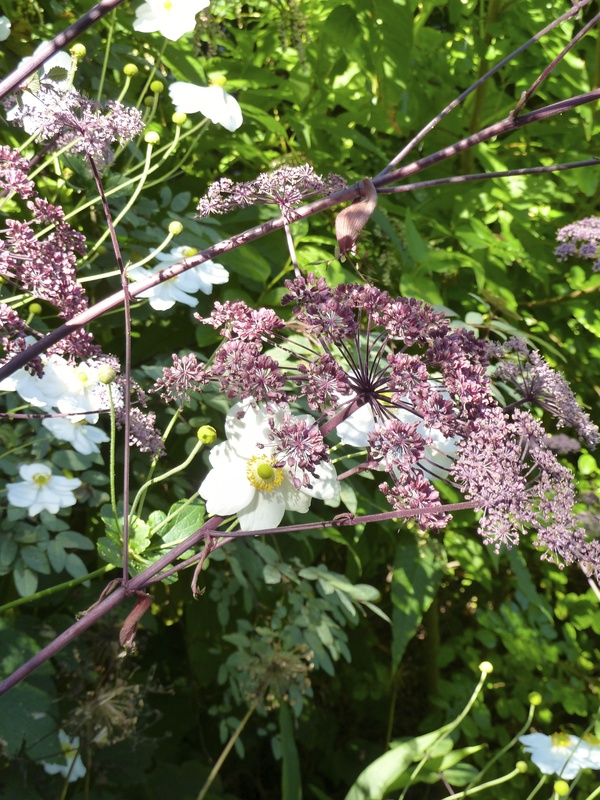 Combining Angelica sylvestris (??) 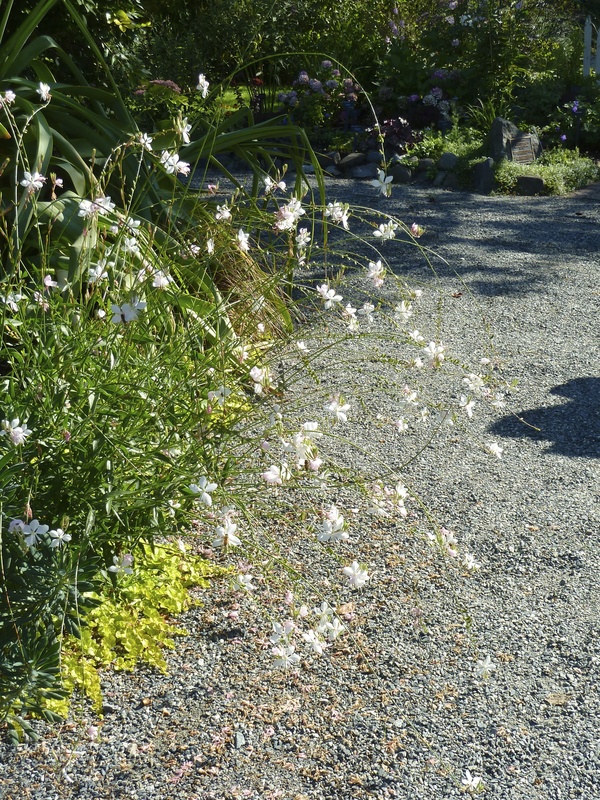 and japanese anemones in the Abkhazi Garden in Victoria. 6. SOLIDAGO! Ok, I probably won’t put this in my garden because I don’t have room for yellows yet, but still, some of it is pretty epic. 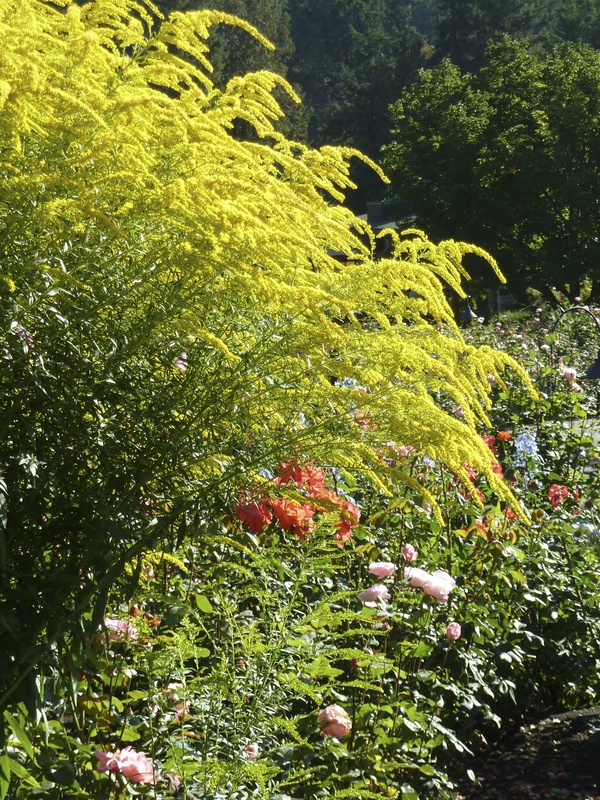 Although some members of the family look unfortunately weedy… (sorry Solidago caesia, I know some people like you). Choose wisely I guess. First two pictures are from Butchart. 7. More hydrangeas – I didn’t really appreciate hydrangea before. I always associated them with that horrific baby blue stuff. There’s definitely some great ones out there. 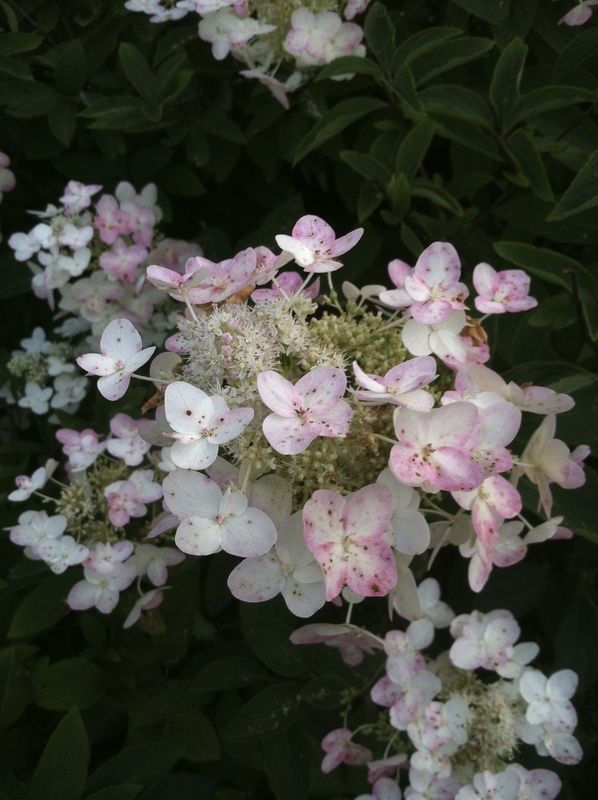 Uncle D has pretty hydrangea paniculata ‘Kyushu’ in his front yard that he promises to take cuttings of for me. 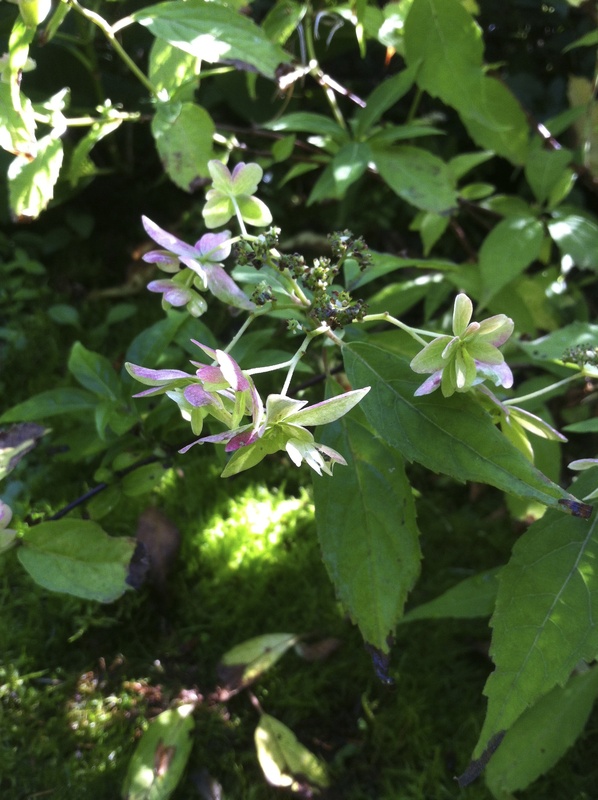 I also fell in love with some Hydrangea serrata at HCP but I’m pretty sure those won’t grow in zone 3. 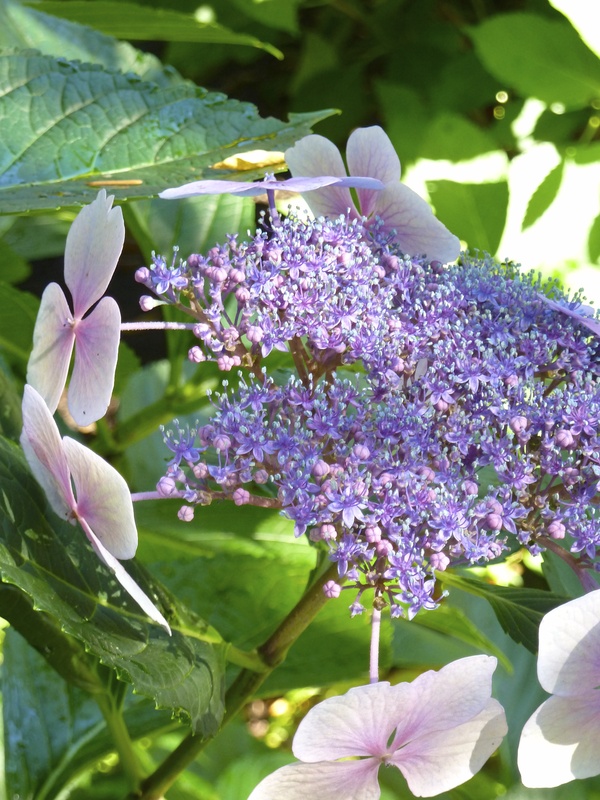 The bluish hydrangea below is an unidentified variety that mom really liked at Butchart.